Bitcoin Bank Cycler Review – Good Opportunity Or Big SCAM? Bitcoin 4 Ever Review – Good Opportunity Or Big SCAM? 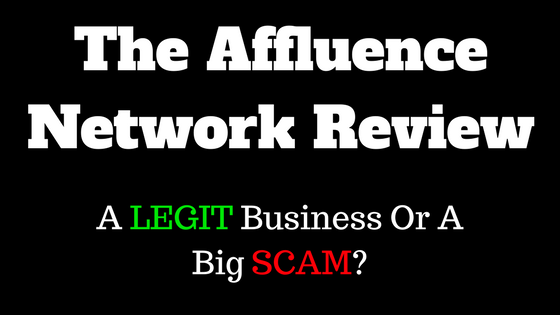 The Affluence Network Review – Legit Business Or Big Time SCAM? 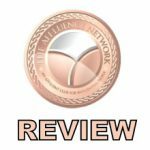 Welcome to The Affluence Network Review! The Affluence Network, is a business that has been catching a lot of attention from social media users. Reason? It promises quite an attractive “reward” for your money. The following is a detailed review of what exactly The Affluence Network is. This article provides a critical breakdown of the business, its founder, how it works and, if you should really put your money into it. The Affluence Network, commonly known as “TAN”, is an internet marketing system founded by Troy R Hogg. TAN is a program guided system for wealth creation through education, social influence and awareness. It has been in existence, in theory, for the last five to six years, but only became operational early this year, 2017. The system invites you to start earning your wealth by becoming an affiliate, offering “software as a service” (SaaS). A special software tracks an affiliate’s social media activity promoting the business, and rewards them using an electronic payment system “Bitcoins”and “Crypto currency” or “Crypto token”, which is a digital asset designed to work as a medium of exchange. TAN boasts of a completely user integrated software that tracks the SaaS’ through a “Dashboard” that tracks affiliates’ activity and comes up with the payment plan. The affiliates to TAN only have the affiliate membership, and have one job; to try and sell the idea to as many people – as they are interested in earning money through this business. An interested person becomes an affiliate of TAN and provides the Software as a service by marketing the business and recruiting new members through social media platforms or even publishing promotion articles over Google or Bing as well as selling the idea via Amazon. The more people an affiliate attracts and recruits, the more crypto tokens he/she earns. From TAN’s website: “Our exclusive TAN crypto-tokens are exchangeable or saleable on over seven cryptocurrency Exchanges currently and growing”. What that means is, the affiliates will be able to trade their crypto tokens in exchange for real money, in seven available currencies. The affiliates for TAN are paid to recruit members from the public. Interested persons are recruited by purchasing a membership plan. • Diamond plan, at $297 per month. The more expensive the plan is, the larger your commission. Moreover, getting your recruits to purchase the more expensive plans, gets you paid more. Members on the Bronze plan get paid the lowest commissions, to encourage them to upgrade their membership plans. First off, it is important to note that TAN does not offer any physical products. No actual trade on goods is done. • Paid advertising on Facebook, among others. These tutorials are to help you make money online. TAN also boasts giving members “100+ private Label Products”, which they really do not specify. The whole idea of The Affluence Network seems really interesting and inviting. So, it begs the question, is it legit, or a scam? The official website portrays a very appealing user interface, however, in a bid to encourage members to join, they end up “preaching” instead of driving the point home. Also, TAN does not specify the specific currencies that their crypto-tokens can be exchanged for. Moreover, the Fact that TAN does not trade on any actual goods, nor trade in shares or on any financial market, begs the question on how they actually make money to pay their affiliates. Those are a handful of red flags for any legit business to portray. However, one would wonder, why go through all the hustle of creating a great website and publishing testimonials, just to scam the public? To be completely sure whether it’s a scam, a background check of the founder, Tory James, alias, Tory R Hogg had to be carried out. Investigations reveals that he’s been associated with a number of scams including Green Charm and Black Creek Media and Consulting. So what is my overall advice on The Affluence Network company? I would say, don’t jump in blindly – base your decision on the facts laid out here for you.